Raw Spice Bar is a monthly spice subscription service, which features a different culture’s spices and recipe’s each month. Each box you receive will contain 3 small packets of high quality spice blends and 3 recipes which come together to create a 3-dish meal of the given month’s cultural cuisine. Subscriptions are $6/month with free shipping and are available in 1, 6 or 12 month subscriptions. May’s Raw Spice Bar box had us travelling to the Andes and featured Peruvian spices and dishes. 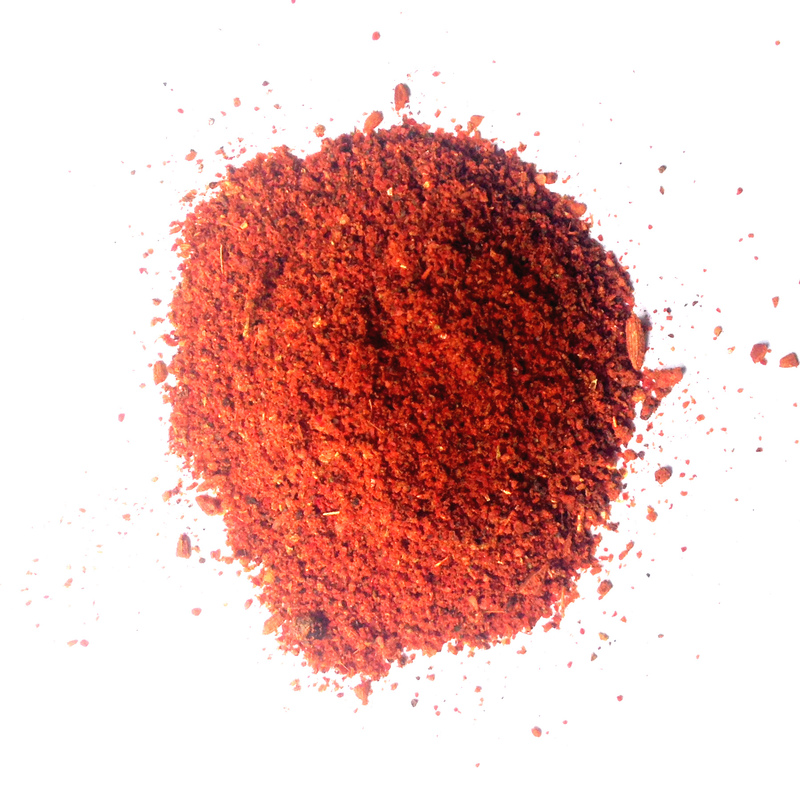 The first packet contained a Peruvian Chicken spice blend of ancho chili and smoky paprika, which was paired with a Peruvian Spiced Roasted Chicken recipe. This chicken was SO GOOD! It was a huge hit with both my boyfriend and myself and was probably my favourite recipe I have made from Raw Spice Bar. The chicken was marinated in a blend of olive oil, lime juice, garlic and the spice blend, and then roasted in the oven. It was very easy and the results where absolutely delicious! 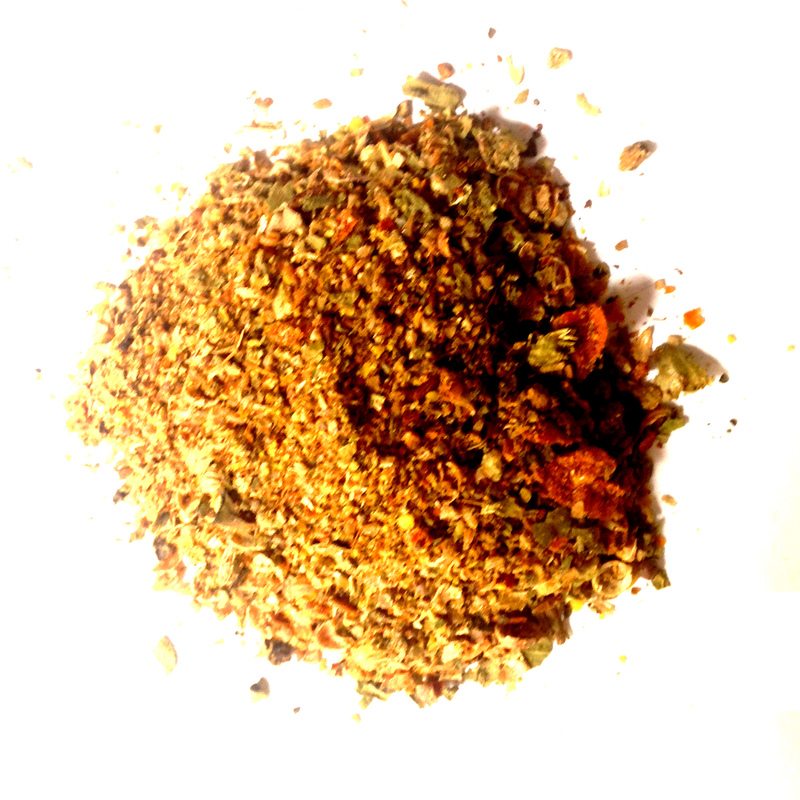 The second packet contained Aji Amarillo spices and was a blend of ground dried aji amarillo chile, coriander, basil, mustard seed and other spices. 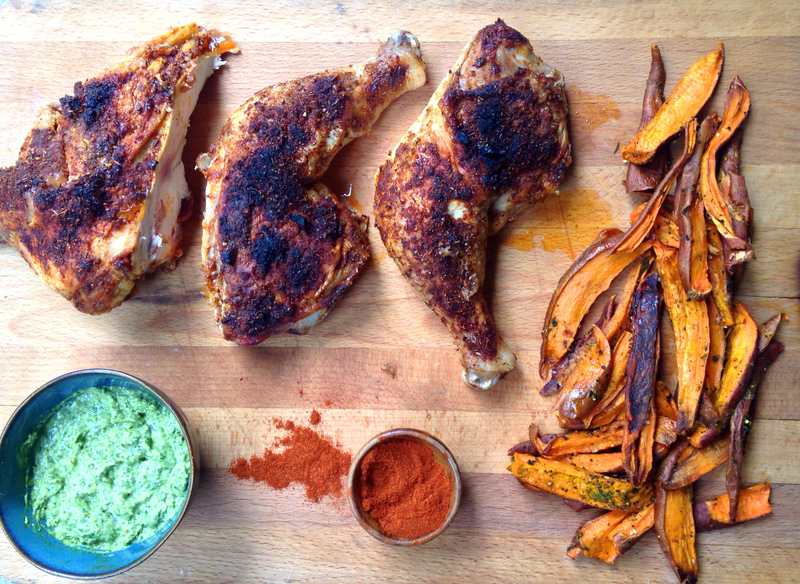 This blend was paired with a Roasted Aji Amarillo Sweet Potato Wedges recipe. Neither my boyfriend or myself are a fan of sweet potatoes, but it ended up not mattering because the dish turned out to be such a disaster that we couldn’t eat them anyway. I’m not sure where I went wrong, but the potato wedges came out of the oven soggy and burnt to a crisp. There wasn’t one piece that was salvageable enough to try. This dish was definitely a flop. 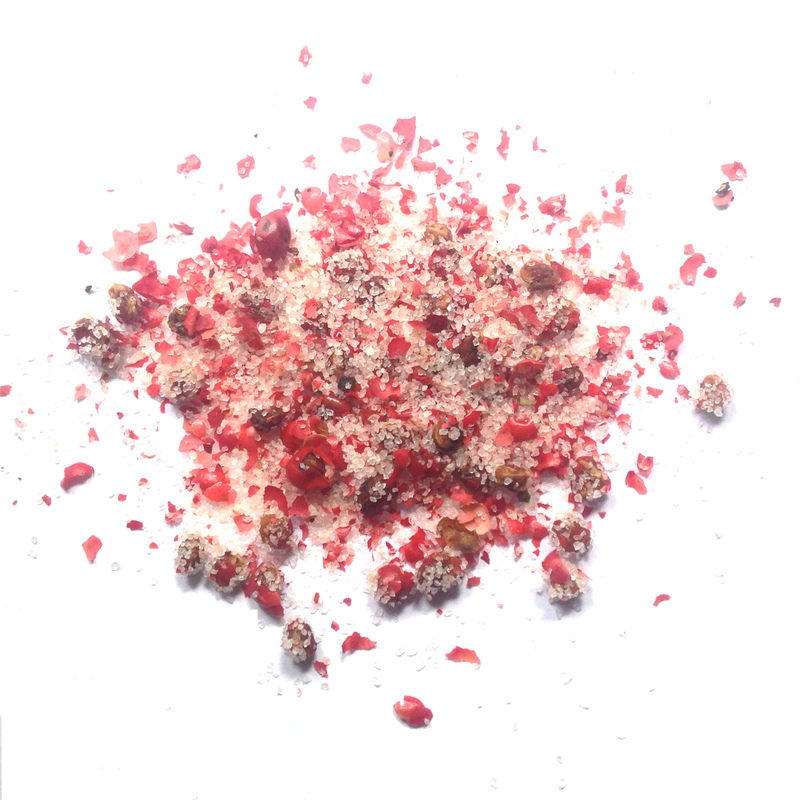 The third packet contained a Pink Peppercorn spice blend of pink peppercorn and pink Himalayan sea salt, which was paired with a Pink Peppercorn & Sea Salt Voladores recipe. I have yet to try out this recipe, but it looks simple enough. Two plain cookies sandwich a layer of melted chocolate, butter, cream and the spice blend. I imagine that this recipe will turn out pretty good, however I have found that Raw Spice Bar recipes are usually a big hit, or a big miss with no in-between. I will update this post once I have made and tried this one. Raw Spice Bar’s May Peruvian box was just all-right. It was similar to last month in that the meat dish was an absolute knock out with the remaining dishes being a bit of a flop. How the dessert dish turns out will be a big deciding factor. I originally signed up for a 3 month subscription, which was available back when I signed up and this was my third and final month. I have enjoyed this subscription, however I don’t think I will be renewing it. It has been great for trying out new dishes and foods, yet needing to buy some weird ingredients that I will only use once is a bit of a strain on my student budget. If you would like to try out Raw Spice Bar for yourself, please click here. If you are already subscribed, I would love to hear how your box turned out for you!